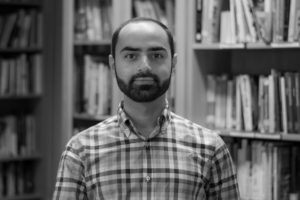 Having completed a degree in Psychology at the American University of Beirut, Ahmad moved to London in 2014 to pursue higher education in Neuroscience. Soon after landing in London, he joined the Taqasim Music School where he has been learning the art of playing the Oud since early 2015. Ahmad is also a passionate photographer and has had his camera by his side since 2011. He is currently a research worker and doctoral student at King’s College London.